Looking for a fun thing to do on an afternoon in Los Angeles? 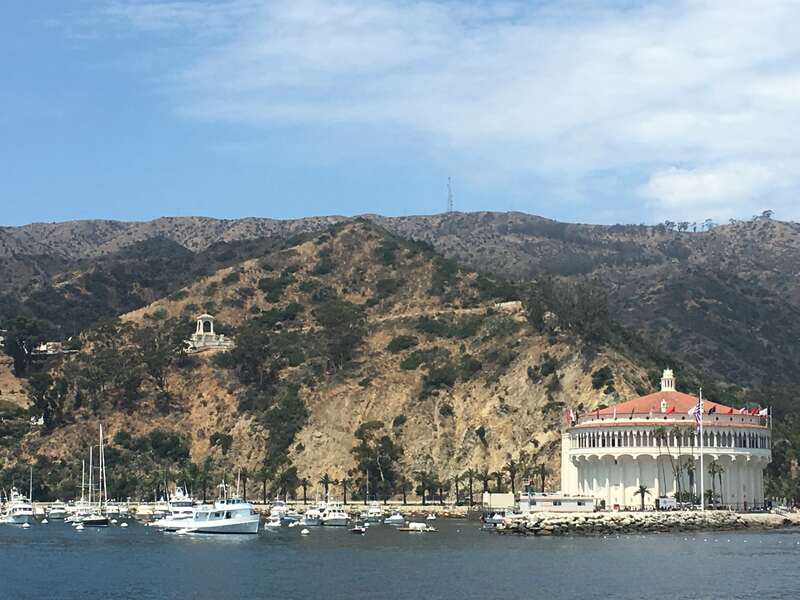 This Summer we were entertaining out of town guests and Catalina proved to be the perfect day trip. Catalina Island is just off the coast of San Pedro and has hourly ferries leaving daily. You can purchase a round-trip ferry ticket from San Pedro or Long Beach ports for approximately $75 per adult which is cheaper than a ticket to Disneyland these days. Purchase your tickets online at least 24 hours beforehand. Click here to purchase your tickets. Below is your itinerary. 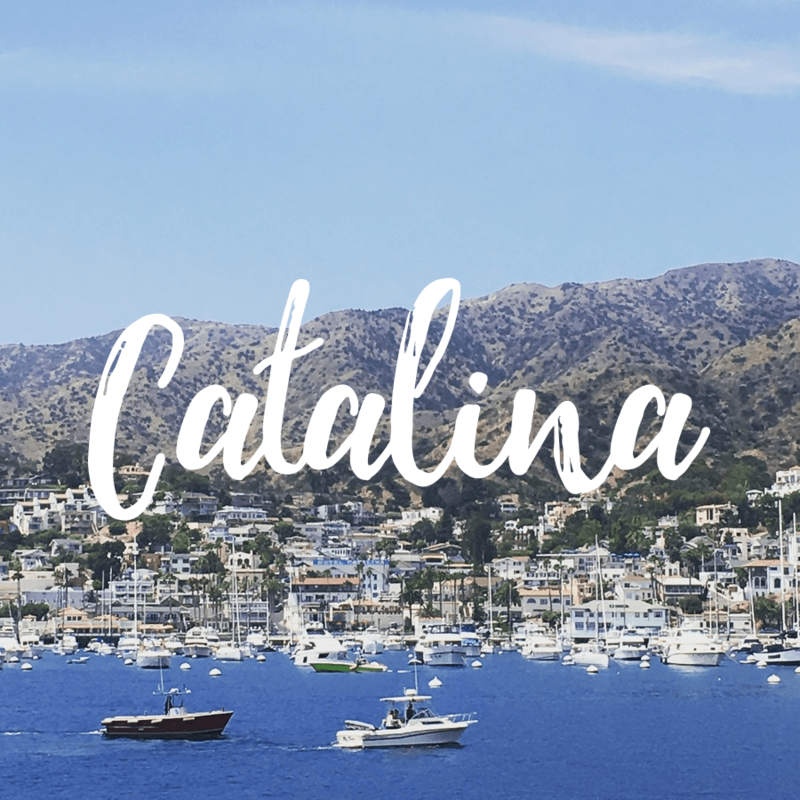 You can also download the Catalina Island Day Trip Itinerary, complete with addresses for each recommended spot. 12:15pm– Lunch at Avalon Grille (you can walk from the port to this beachside lunch spot) The food is a bit pricey, but the view is exquisite and their main dining room has vast open windows that allows for an indoor dining experience with an outdoor feel. Stroll along Crescent Ave and enjoy the plethora of souvenir shops along the way. Catalina T-shirts can be purchased for as little as 3 for $20 in some shops. Walk back toward the Avalon port and you can rent snorkel gear for $30 at any of the shacks along the walk. You can leave your belongings and souvenirs at the shack. Once you have your gear, Lovers Cove is a 5 minute walk from the Avalon port, where you can see all of the beautiful varieties of fish Catalina has to offer. A warning, this is a very rocky beach and the water is cold, typically around 67-70° F, so wetsuits are recommended for those like me, who hate the cold. Turn in your snorkel gear and walk back down Crescent Avenue toward the green pier, for some homemade ice cream at Scoops. I am not an ice cream fan in general, but their Coffee Chip was worth every penny of the $5 scoop. Walk back down Crescent Ave toward the port to Catalina Golf Cart Rentals and Tours. The use of cars is severely restricted on Catalina so a golf cart is the best way to see the island. This was our favorite activity of the day. 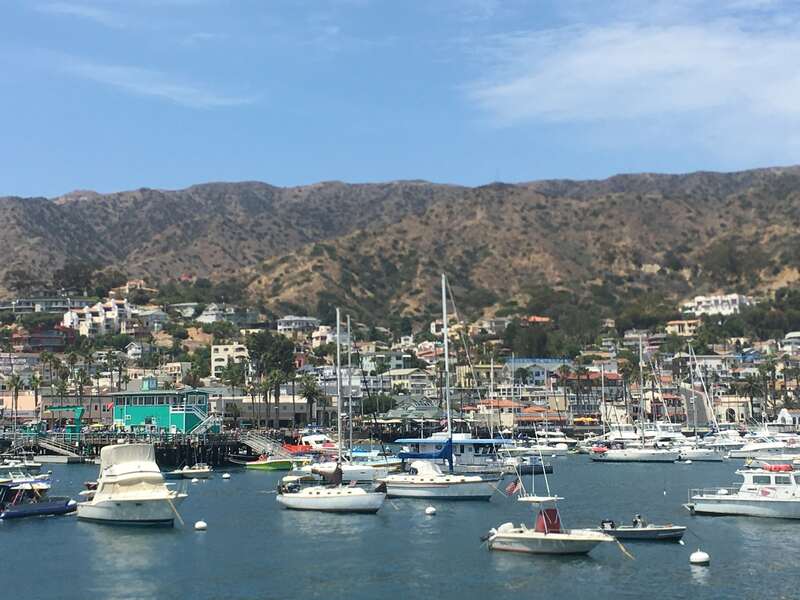 You can rent a four passenger cart for $45 for an hour and that’s more than enough time to take in some of the most beautiful vistas Catalina has to offer. 4:30pm– Return your golf cart and walk back to the Avalon Port to get in line for your ferry home.